Travel all over Wisconsin, attending as many other weddings as possible, so that you can see the DJs “in action”. Call a bunch of Wedding DJs and try to figure out what they’re really like, based on how they talk on the phone. Wouldn’t it be great to save the gas, and have a chance to talk face-to-face with one of Central Wisconsin’s most popular Wedding DJ companies? While you’re at it, you can see options for every part of your wedding – gowns, tuxedos, rings, caterers, photographers, and more! 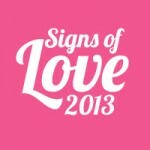 If you listen to 95.5 / WIFC, then you’ve heard about the amazing “Signs Of Love 2013“, coming to Rothschild, WI on September 15th. 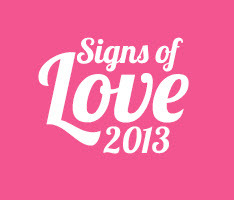 Over The Top Entertainment will be there, and our schedule for 2014 is filling up fast! We’ve kept the crowds dancing at receptions from Stevens Point to Wausau to Wisconsin Rapids – and beyond! Find out just how much FUN shopping for a DJ can be. Stop by and introduce yourself, and let us know that you saw us on the web!